We are a community of believers called to give back—in the church, in the community and in the world. We conduct mission ministries and trips in such a way that we not only "do good works" in Christ's name but we grow in the character and capacities of Jesus. - What work does God need to do in me during this mission event to make me more like Jesus? - How does God need to work in our team to help us connect in a God-honoring way during this mission event? - What do I anticipate God doing through me during this mission event? Serve in the Church - All of our program ministries need volunteers and there is a place for you if your heart is leading you to service. For more information on serving in the church—contact Family Ministry Admin, Sally Henry. Serve in the Community - We partner with multiple service organizations to help make our community a better place. From cleaning up our local beaches to fighting human trafficking, there are many opportunities to serve locally—contact Sheryl for more information. Family Assistance Ministry (FAM) serves those in need in South Orange County with resources for food, shelter, and personalized supportive counsel and aid, helping clients bridge the gap from dependency to self-sufficiency. 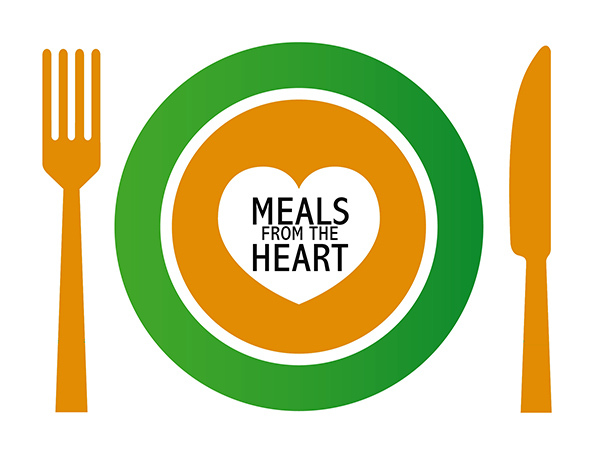 You can volunteer at their facility or bring food to our monthly (first Sunday of each month) food drive. To get involved, contact Sheryl France-Moran at sheryl@scpres.org or 492-6158, ext. 23. The i-5 Freedom Network is committed to eradicating human trafficking through advocacy, education, and response training. Their objective to engage business and community leaders in the effort to fight human trafficking via industry-relevant education will create communities that are empowered and equipped to provide protection, recovery, and justice for victims. The i-5FN vision is to mobilize our entire community into one that will be motivated to engage in the fight to end human trafficking and exploitation in all its facets and forms. For more information contact Brenda Wells at 929.FreeNet (929.373.3638) or email info@i5freedomnetwork.org. Marine Outreach Ministries include serving the 1st Combat Engineers Battalion, which we have adopted. You can participate by serving at our annual Summer BBQ, Christmas Dinner and Baby Shower. We also provide Welcome Home Bags, which you can help prepare. 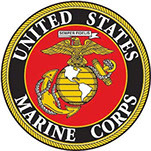 Finally, we provide tutors for the children of Marines who attend San Onofre School. To get involved, contact Sheryl France-Moran at sheryl@scpres.org or 492-6158, ext. 23. 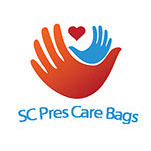 Care Bags provide the homeless in our community with simple provisions. The bag is filled with supplies including food, water and personal hygiene items. They are designed to be nonperishable and can be kept in a car for easy access. To get involved, contact Sheryl France-Moran at sheryl@scpres.org or 492-6158, ext. 23. Love San Clemente is a week-long summer, multi-church event with the goal of showing the love of God through practical projects that meet the needs of schools, the city, our military and the community. To get involved, contact Sheryl France-Moran at sheryl@scpres.org or 492-6158, ext. 23.
organiza­tions in Malawi that work for sustainable development. There are dozens of opportunities each year to serve in these countries—contact Sheryl for more information. Campo de Esperanza is a ministry that serves the indigenous migrant farm workers in Ensenada, Mexico. They are in need of donations, volunteers and prayer, but most of all they are looking to build relationships with people who have a heart for these people. You can go on monthly trips. To get involved, contact Sheryl France-Moran at sheryl@scpres.org or 492-6158, ext. 23. Rancho Sordo Mudo is a Ministry for deaf children throughout Mexico. The goal of the ministry is to teach the children that God loves them and gives them a hope and a future. SCPC takes trips each year to serve with our partners. To get involved, Contact Sheryl France-Moran at sheryl@scpres.org or 492.6158, ext. 23. 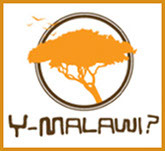 Y-Malawi is a partnership of churches in the US who serve together with Malawian organizations to provide community-wide sustainable development and transformation in the areas of water, food security, healthcare, education, evangelism and discipleship, youth programs, and economic development. You can be involved by sponsoring a child or participating on a service trip to Malawi. To get involved, contact Sheryl France-Moran at sheryl@scpres.org or 492-6158, ext. 23. Alternative Gift Fair provides SCPC members and friends with the opportunity to purchase unique Christmas gifts make donations to our missions ministries that will make a dramatic difference in the work God is doing here and around the world. Each ministry provides the donor with a card to give as a gift to a family member, friend or co-worker. To get involved, contact Sheryl France-Moran at sheryl@scpres.org or 492-6158, ext. 23. 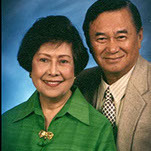 Melo and Rose Biron, with C.A.R.E. 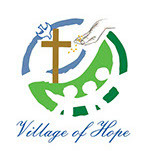 Philippines, which helps develop Christian communities among the poor in the Philippines, through Biblically-Holistic ministries either directly or in partnership with local Christian churches. To learn more about our partners, contact Sheryl France-Moran at sheryl@scpres.org or 492-6158, ext. 23. 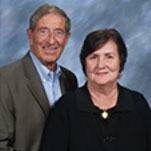 John and Carol Dettoni, with Chrysalis Ministries, which exists to encourage, equip, and enable emerging and existing leaders to become more effective in their God-given ministries, both in churches and the marketplace. To learn more about our partners, contact Sheryl France-Moran at sheryl@scpres.org or 492-6158, ext. 23. 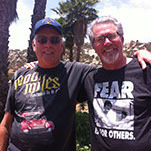 Ed and Luke Everett, brothers with Rancho Sordo Mudo (RSM), which is a free home and school for Mexican deaf children located in the Guadalupe Valley of Baja Mexico. The goal of the ministry is to teach the children of God's love for them and give them a hope and future. To learn more about our partners, contact Sheryl France-Moran at sheryl@scpres.org or 492-6158, ext. 23. 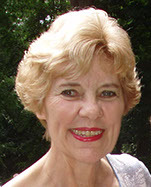 Nita Hanson, with God's Hidden Treasures, which provides care, education and medical support for diabetics, stroke victims, and their families. To learn more about our partner, contact Sheryl France-Moran at sheryl@scpres.org or 492-6158, ext. 23. 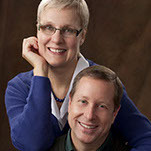 Steve and Julie Olsen, with Tyrannus Halls International, which are small discipling communities of university students in which students live on site while studying at their various university faculties and commit to involve themselves in growing as followers of Jesus. To learn more about our partners, contact Sheryl France-Moran at sheryl@scpres.org or 492-6158, ext. 23. Connie and Andrew Taylor with Youth with a Mission, which is an international movement of Christians from many denominations dedicated to serving Jesus throughout the world. To learn more about our partners, contact Sheryl France-Moran at sheryl@scpres.org or 492-6158, ext. 23. Paul and Pat, with Interserve, reach out through music, dance, video, drama, health education and adult literacy in South-central Asia. To learn more about our partners, contact Sheryl France-Moran at sheryl@scpres.org or 492-6158, ext. 23. Mark and Lara, and working in Bible translation. God’s Word, accessible to all people in the language of their heart. To learn more about our partners, contact Sheryl France-Moran at sheryl@scpres.org or 492-6158, ext. 23. David and Sara are working in Central Asia in a creative access nation. They are involved in a business among an unreached, Muslim people-group of over 10 million. To learn more about our partners, contact Sheryl France-Moran at sheryl@scpres.org or 492-6158, ext. 23.